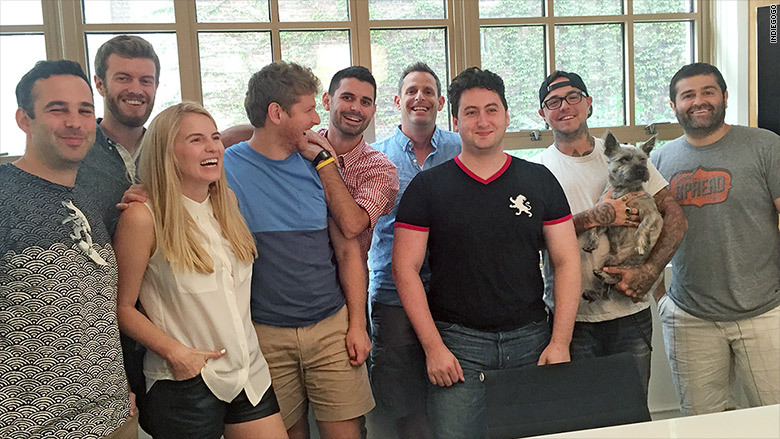 Indiegogo co-founder Slava Rubin [far right] with his team at the company's office in New York City. Forget drones or robots or mind-boggling 3D-printed innovations. Right now, Indiegogo's CEO is laser-focused on peanut butter. "This peanut butter is made with just three ingredients, peanuts, salt and honey. The honey is what makes it really good," said Slava Rubin. His obsession, Good Spread Peanut Butter, is one of more than 300,000 campaigns that have launched on Indiegogo since the crowdfunding platform debuted in 2008. Virtually anyone can get their campaign on Indiegogo. But unlike Kickstarter, it provides startups with the option to keep all the money pledged even if they fail to meet their funding goal. To date, the company has helped entrepreneurs raise half a billion dollars, said Rubin. The site, which gets 15 million visitors a month, takes 5% of the total amount raised as its fee. Although two-thirds of its campaigns are based in the U.S., Rubin said he's amazed at the growing global awareness of the platform. "I was deep in the middle of the Amazon in Brazil last year, staying in a lodge that you could only get to by boat," he said. There he met an 11-year-old boy who told him about cool ways that people are harnessing energy, including Solar Roadways, which he'd read about on Indiegogo. "He had no idea who I was," said Rubin, adding that Solar Roadways had raised $2.25 million on Indiegogo from people in 150 countries. It's one of the site's most successful campaigns. Technology projects tend to dominate Indiegogo, "Lately it's lots of hardware, robots with built-in artificial intelligence like for home assistance, and drones with very specific capabilities," he said. So what makes a crowdfunding campaign successful? Here are Rubin's tips. Videos: Campaigns that feature videos -- about the startup and the product -- typically raised 114% more money on Indiegogo compared to those that don't. Frontload everyone you know first: "Get your inner circle of family, friends and customers to fund you and to spread news about the campaign," Rubin said. "This will get the momentum going." Provide frequent updates: Campaigns that provide updates every five days raise twice as much as those that update every ten days or more. Use the media: Get the press involved early on. "Tell media in advance about your campaign." 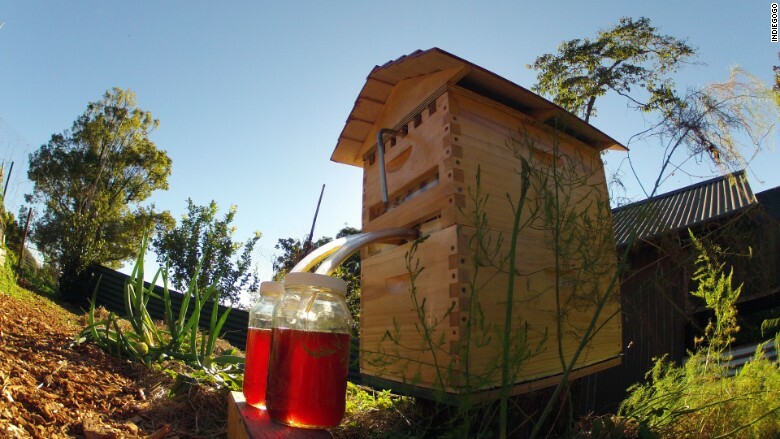 Flow Hive, a beehive invention, raised $12.4 million and is Indiegogo's most funded campaign to date. Don't nag about money. Tell your story: "Don't get stuck telling people why you want the money," he said. "You have to explain why the product is interesting and relevant to them. Be authentic about it. Don't ignore feedback: Listen to what your customers are telling you. It's a way to gauge market validation for your idea. Rubin emphasized that Indiegogo is still evolving. The company launched "InDemand" in January, which lets startups that have already met their funding goal sell their products through the site. More than 4,000 startups have already signed up for the service, said Rubin.